There are restaurants that loudly announce their genius to the world, and others that go about the business of feeding people well without making a big fuss. Tom Le’s GreenSpoon is one of the latter. Specializing in New American cuisine, the low-key dining spot at 108 Merrimack St. is all about deconstructing traditional Western and Eastern meals and injecting dishes with unlimited creative freedom. 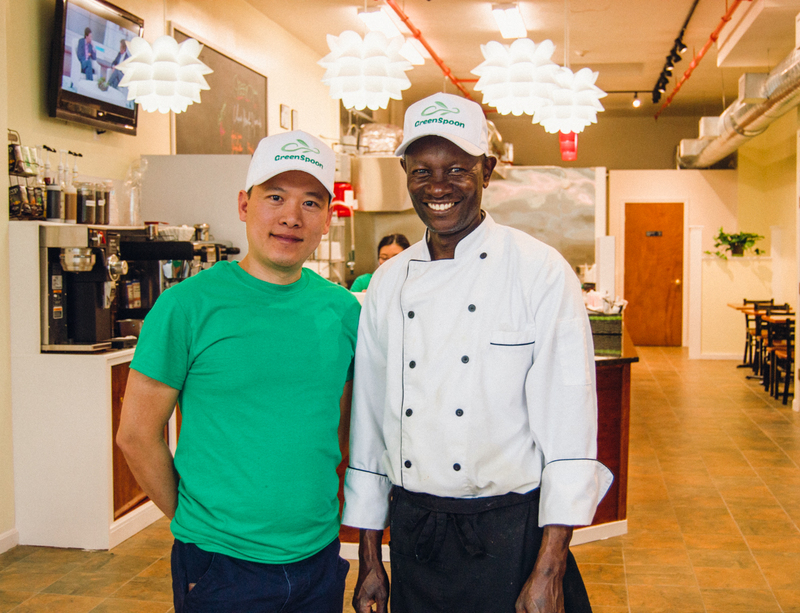 Loosely defined as farm-to-table fusion food with French and Asian influences, New American cuisine can now include just about any ingredients or technique from around the world. 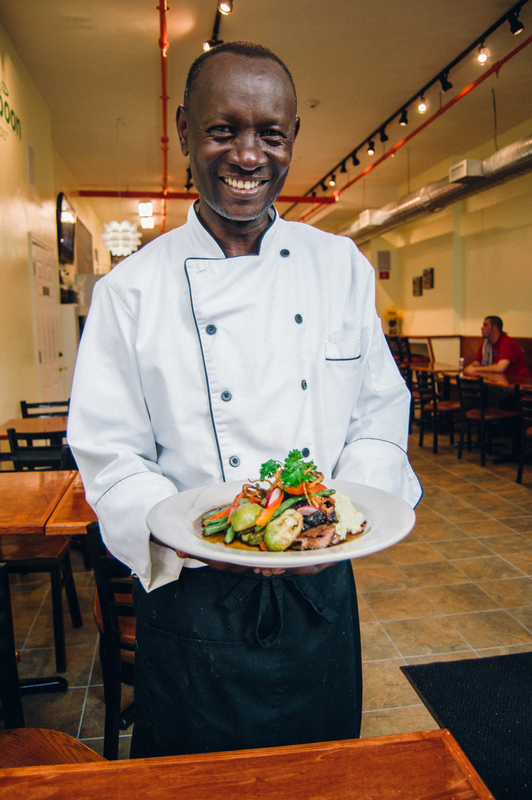 In theory, says Chef Daniel Wainaina, that reflects our country’s melting-pot culture — and gives him room to play. 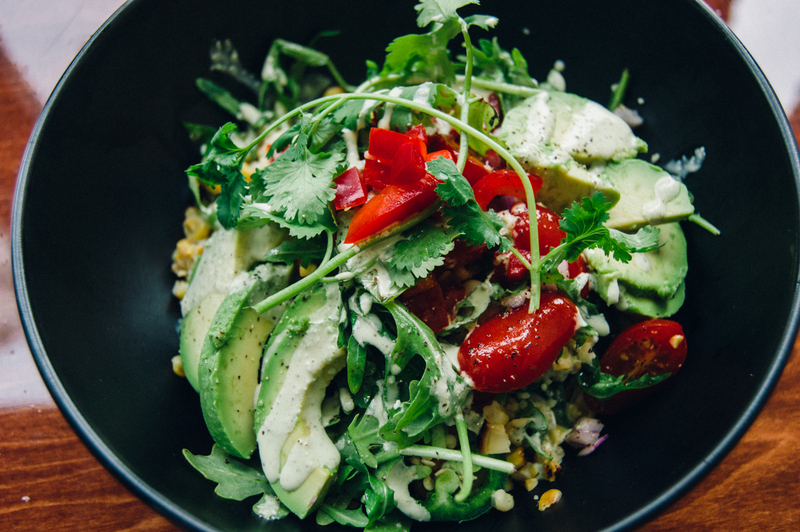 The result is a menu that transforms classics with modern interpretations, like the couscous taco ($9). 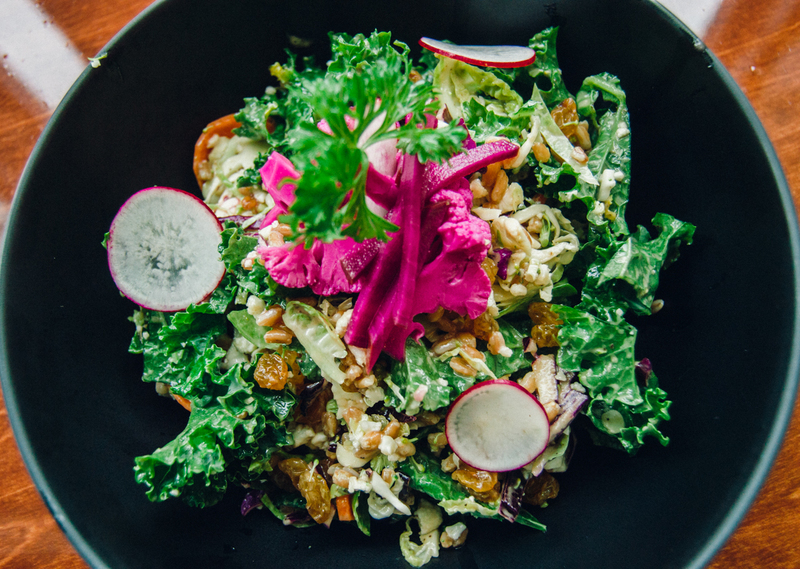 This creation comes front-loaded with healthy tidbits and it’s tasty to boot. Served up in a bowl, not a shell, the medley of organic pinto beans, fresh jalapeno, charred corn, tomato, avocado, red peppers, arugula and creamy house-made cilantro dressing is an experience that’s worlds away from what you’ll find at your standard taco bar. 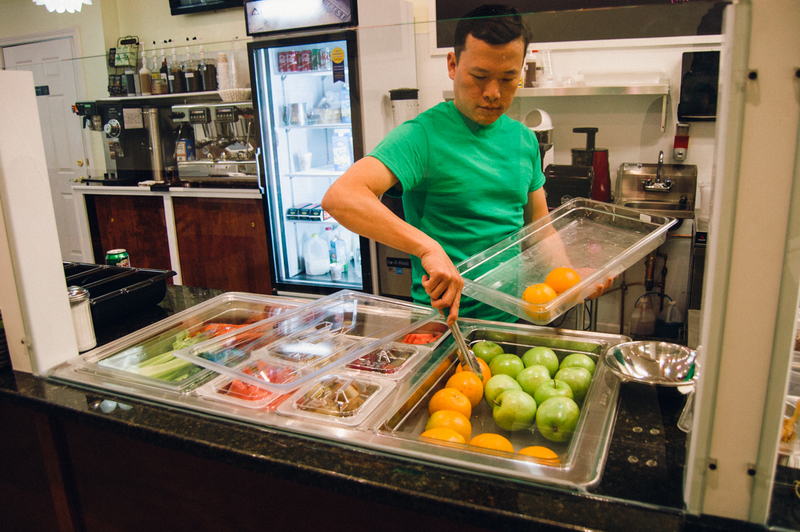 GreenSpoon’s Tom Le specializes in smoothies made fresh to order. After whiling away an afternoon at work, you can pop into GreenSpoon and find border hopping snacks like vegetable samosas with red cabbage slaw and yogurt sauce ($5), home fries prepared with lemon-harissa oil ($3.50), or pita chips and house made hummus ($4.50). The menu also has some impressive vegetarian options including the wild mushroom melt smothered with roasted wild mushrooms, Swiss cheese and pear sauce on rye bread ($7), and the raw feast, a colorful bowl brimming with pickled cauliflower, Brussels sprouts, carrots, faro, red cabbage, beets, golden raisins, walnuts and orange-miso dressing ($9). 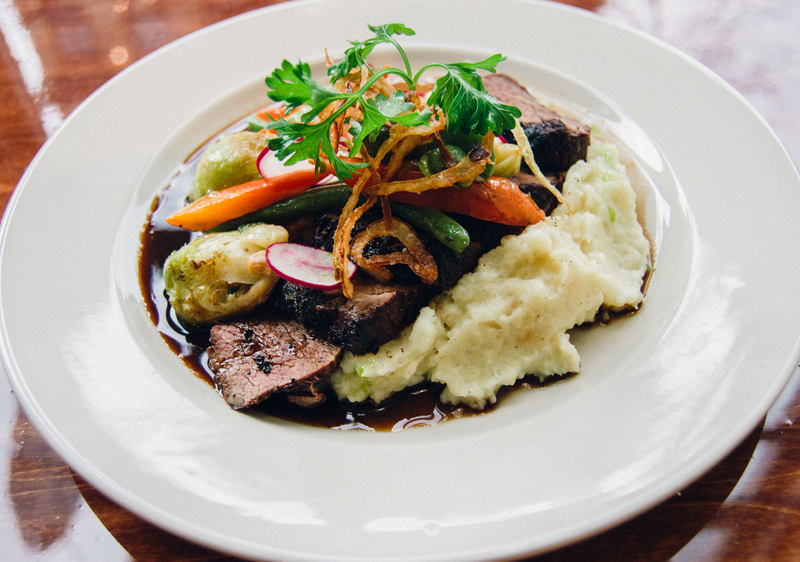 Carnovires can satisfy their cravings with Wainaina’s perfectly seasoned, melt-in-your-mouth steak tenderloin served with Yukon mashed potatoes, gravy, green beans, carrots and mushrooms ($22). The lemon-thyme grilled chicken sandwich is equally satisfying and a less expensive option pairing poultry with a zesty jolt of red pepper jam, aioli, sun-dried tomatoes, baby arugula and American cheese ($6.50). Another bonus: smoothies and juices are made-to-order. We especially liked the tropical fest juice combining watermelon, orange, pineapple and ginger ($6). WHEN: Mon.-Sat., 10am-10pm. Closed Sunday.